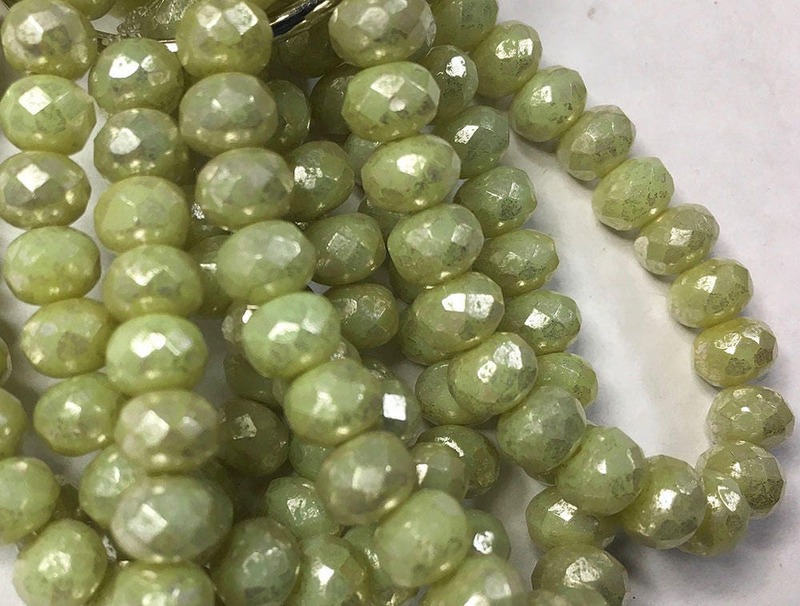 Honeydew green metallic Czech pressed glass medium sized faceted rondelle beads with silver mercury-look finish. These are 5mm x 7 mm. There are 25 beads per strand. Honeydew Green Czech Pressed Glass Medium Faceted Rondelles with Mercury-Look Silver Finish 5mm x 7mm 25 beads. The green isnt as dark as the picture. I am going to keep them because I dont want to pay more money to send them back. Pretty green with a goldish finish. Fast Shipping!